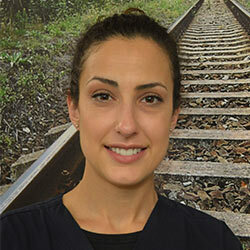 My name is Marisa and I am one of the orthodontic assistants here at Orthodontics at Don Mills. I was born and raised in Toronto where I currently reside with my husband and two beautiful children. I attended Durham College in 2006 where I studied Dental Assisting and graduated with College honors in 2007. Shortly after graduation I began my career in the orthodontics and have been in the field ever since. I am a member of the Ontario Dental Assistant Association and am always increasing my dental and orthodontic knowledge and continuing my education. I have a passion for orthodontics and couldn’t imagine myself in any other field, as I love meeting patients each day! It brings me great joy to assist Dr. Noble in creating beautiful and healthy smiles for our patients. Being apart of the team here at Orthodontics at Don Mills has been an amazing experience. I am proud and truly grateful to be apart of such a fun, friendly, and caring team. I am privileged to work with Dr. Noble and help to provide the best orthodontic care for all of our patients.